Thank you for attending the 2010 ASMBS Foundation Annual Event! The Masters Course in Fun’s live entertainment was provided by The Sensation Show Band & A Casino Event Entertainment Company. Harvey J. Sugerman, MD is Emeritus Professor of Surgery, Virginia Commonwealth University, Richmond, Virginia. 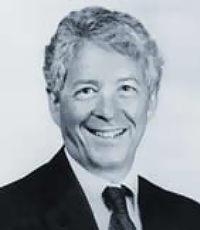 Dr. Sugerman received his medical degree from Thomas Jefferson University School of Medicine in 1966, served as a Medical Intern and then Surgical Resident at the Hospital of the University of Pennsylvania, which he completed in 1973. He was a Lieutenant Colonel in the U.S. Army, where he was stationed in Nuremburg, Germany and Ft. Bragg, North Carolina. After two years in the private practice of General Surgery in Allentown, Pennsylvania, he returned to academia at the Medical College of Virginia, where he became the David M. Hume Professor of Surgery, the Chairman of the Division of General and Trauma Surgery and Interim Chair of the Department of Surgery. Dr. Sugerman retired from the clinical practice of surgery in December, 2003. Dr. Sugerman had a major research interest in the pathophysiology of the Acute Respiratory Distress Syndrome and the various surgical techniques for the surgical treatment of severe obesity and their beneficial effects on obesity comorbidities. He has published over 230 manuscripts in peer-reviewed journals, 20 books and 55 book chapters. He was President of the Western Trauma Association (2003-2004) and the American Society for Metabolic and Bariatric Surgery (ASMBS) 2004-2005 and was Chair of the Bariatric Surgery Review Committee and a member of the Board and Executive Committee of the Surgical Review Corporation from 2006-2008. He is currently the Editor-in-Chief of Surgery for Obesity and Related Diseases. He and his wife, Betsy, live in Sanibel, Florida. They have four children and 4 grandchildren who live in Park City, Los Angeles, Atlanta, and Shanghai.